Our Sparkly Easter Dress is perfect for smaller dogs. Your tiny little girl dog will be the belle of the Easter parade when she appears wearing her new Sparkly Easter Harness Dress ($60) from the Posh Puppy Boutique. Order anything from our extensive selection of couture dog clothes by Friday, March 1 and save 25 percent on your entire order. Enter coupon code SPRING at checkout and literally save $100 on some of these featured Easter and Spring dresses. This handmade dress features a bright yellow bodice colored in bright dots. The skirt is covered with decorated Easter Eggs and edged with lace. The entire dress is lined, eliminating sticky seams. Taking 1-2 weeks to complete, it comes in sizes from double extra small to small only. Our Couture Sparkle Easter Dress ($40) is perfect for any outdoor event, especially during the spring. It is simple and elegant topped with a wide purple bow. It comes in small, medium and large sizes. Our Couture Brunch Daisy Dress stands out from the pack. 95) stand out from the pack. Adorned with hand cut pink daisies with pearl buttons, it has a skirt made with pink daisies on a pink daisy print mesh. Sizes range from double extra small to extra large. Girl dogs will look stunning in this Exclusive Couture Hippity Hop Harness Vest ($490) made just for the Posh Puppy. These made to order vests are hand embroidered with overdyed silk ribbons and silk threads. They are embellished with glass seed beads and sequins on a wool/felt blend then stuffed with polyester blend for a spectacular three dimensional effect. If you like lilies and lavender, you are in luck: we have just the dog dress for you. Our hand made Lilies Dress in Lavender ($75) has a flannel lining on top to keep your precious little girl comfortable. The dress is topped with a wide lavender bow, making it perfect for Easter or any other special event during the spring and summer. Sizes range from teacup to medium. This dress is available with and without a “D” ring for leash attachment. Our new Rosette Lace Dress ($25) has a lace fabric bodice and gathered ruffle skirt. Rosettes top the back for an added classy springtime look. This dress is machine washable. Sizes range from double extra small to medium. Comedic dogs with a talent for showing off will look adorable in our floppy-eared Easter Bunny Hat ($47). Made for dogs and cats, it has an elegant bow and is designed to fit extra small, small and medium dogs and cats. Check out these and many other Easter and St. Patrick’s Day-themed dog clothes, accessories and treats at your top pet shopping spot: the Posh Puppy Boutique. Our Shamrock Dog Sweater comes in many sizes. There many ways to celebrate St. Patrick’s Day such as eating corned beef and cabbage followed by a pint of Guinness, a dram of Bushmill’s or a cup of strong Irish Coffee. Consider these two healthier alternatives: taking your dog for a walk and playing fetch with a new toy that you just bought them at the Posh Puppy Boutique. Keep your dog warm and cozy on those morning walks by dressing them in our Shamrock Dog Sweater ($50). It is hand knit from 100 percent wool, primarily from free-range sheep. The untreated wool provides a natural barrier to cold while avoiding harmful chemicals. Sizes range from double extra small to triple extra large. Our many St. Paddy’s Day themed hooded sweatshirts come in a variety of colors while adding warmth and style to your dog’s walk or jog. They come in black, white, gray, blue and pink and sizes from extra small to extra large. Made with 100 percent high quality cotton and lined with fleece for warmth and comfort, each sweatshirt has a drawstring hood. A hoodie will keep your favorite pal warm, but it won’t keep him or her under control. Harnesses do a better job of that than collars but who says they have to be boring? We have some soft mesh harnesses adorned with a bright green Shamrock ($30). They come in nine colors and sizes from small to extra large. We also sell two St. Patrick’s Day dog bandannas: Happy St. Patrick’s Day ($15) and Lucky ($15). Both are spelled out in rhinestones on your choice of nine colors. The bandannas come in small and large sizes and tie around your dog’s neck. We even sell a Shamrock Collar ($20) that comes in several sizes and widths to fit nearly every dog. Made in the USA, it is machine washable and made from high tensile strength nylon. A matching leash is available for $25. If your dog is more of a chaser and a player, consider giving them a Shamrock Plush Toy ($15). Available in medium and large sizes, it has seven pulling points for rough and tumble pups. Mediums are 8 inches long while larges are 11 inches long. A great option that will keep your pooch entertained while you sip your beverage of choice is a food-inspired plush toy. Our Grrrona toy ($12) comes in small and large sizes. High energy pups will enjoy the Red Bulldog Energy Drink toy ($17), which is shaped like a soda can. Check out these and many other St. Patrick’s Day-themed dog clothes, accessories and treats at your top pet shopping spot: the Posh Puppy Boutique. Call us at 888-837-5230 with any questions, including sizing questions. Be sure to follow us and post a comment on our Facebook page. Thank-you, Posh Puppy fans, for spreading the word about Chihuahua rescue sites. We also recently ran a similar post for large and giant breeds. Now the question is: what other breeds of dogs do you like? Email davereyn83@hotmail.com with your favorite dog breed and/or favorite rescue site. Other similar posts of breed-specific rescue sites will follow. Everyone here at the Posh Puppy Boutique is a dog and/or cat lover. Many of our own pets have come from local shelters. We support several pet rescue groups. Your lucky dog will sparkle in our Leprechaun costume. Cute little Lassies—and other dogs—will look beautiful in their new Irish dresses. But what about the boys? Have no fear. The Posh Puppy Boutique is here with a broad selection of St. Patrick’s themed dog clothes and accessories for boy dogs, too. Our Little Leprechaun Boy Costume ($45) is one of our most popular items. This one piece suit comes in six sizes. It has sequined jacket lapels and a reversible bow tie. The boy’s costume is perfect for accompanying his lady friend outfitted in an Irish dress. Another classy Celtic approach is our Authentic Nova Scotia Blue Tartan Scottish Kilt and Hat ($95), which fits laddies and lassies. Made with woven tartan from the Canadian province, its primary color is blue with touches of green, black and white. An attached “scarf” and kilt pin are part of the ensemble. A tam ‘o’ shanter style hat completes the outfit using “stay-put ear bands and a cord lock. Some pups prefer to show their playful side. Fashion has to play second fiddle to practicality for these youngsters. We have shirts that are both stylish and comfortable. This T-shirt is hand made and designed for smaller breeds. For example, our handmade St. Patrick’s Day T-Shirt ($35) uses a green knit fabric covered with dancing leprechauns, shamrocks and the words “dance and be merry” topped with white ribbing. Sizes range from double extra small to small only. Our Gold Metallic Shamrock Dog Tank ($22) is a ribbed shirt designed just for dogs. It is made with lightweight and breathable 100 percent cotton making it perfect active dogs. Sizes range from double extra small to large. Even your Chihuahua can con a kiss out of some lucky person by wearing our Kiss Me I’m Irish Dog Tee ($20). Made with a lightweight, machine-washable poly/cotton blend, this shirt comes in sizes from double extra small to extra large. We also have a selection of St. Patrick’s dog bandanas ($15) in small and large sizes and nine colors. Attention Sacramento-area pet owners: Help your dog or cat be lucky if they ever get lost: equip them with a microchip. The Placer SPCA is hosting a Microchip Clinic from noon- 3 p.m. on Saturday, Feb. 23 at the Auburn Adoption and Resource Center, 1482 Grass Valley Highway, Auburn. The cost to microchip your dog or cat is only $20 per pet. Microchips contain your contact information. They let animal shelters know who to reach in the event your pet ever becomes separated from its loving home. Call the Placer SPCA at 530-823-7722 with any questions. This little guy will be smiling when his favorite girl shows up in a new Irish dress. Irish eyes will be smiling soon when St. Patrick’s Day arrives. Let your bonny little Lassie look her best with a new Irish-themed dress or hairbow from the Posh Puppy Boutique. Whether your pup is an Irish Wolfhound, one of your ancestors came from the Emerald Isle, or your dog has a wee bit of the Leprechaun in them, enjoy the festivities dressed in style. Our Couture Irish Princess Dress ($135) is fun, whimsical, comfortable and stunning. It has layers of emerald and lime tulle atop an emerald elastic crocheted tube. Topping it is a grosgrain ribbon with shamrocks and a lucky clover in the middle. Best of all, the design makes it easy to take on and off. Sizes range from double extra small to extra large. Little girl dogs that are mischievous might like the similar Couture Leprechaun Tutu Dress ($135). It has a lime feather puff with a lucky clover in the middle. Sizes range from double extra small to extra large. The Couture Irish Lassie Tutu Dress ($135) is also similar to these other dresses in its own eye-popping “Wow!” style. It features a large emerald grosgrain bow with lime dots and a great center lucky clover button. Sizes range from double extra small to extra large. Some dogs like their dresses even more frilly and fun. For those pups, consider the Couture Irish Dots Tutu Dress ($145). It also has layers of tulle but with a white elastic crocheted bodice in place of the green versions above. It also has a large emerald feather puff and great center button. Sizes range from double extra small to extra large. Your little colleen can also look her finest in our much simpler—yet still elegant—St. Patty’s Day Tutu Dress ($45). This handmade dress features a bodice in black fabric with green shamrocks accented with a green bow at the waist. The tutu skirt comes in your choice of green, gold or black. Sizes range from double extra small to medium. All of these dresses can be complimented with one of our St. Patrick’s Day-themed hairbows. Irish Luck ($22 per pair). Galore of Shamrocks ($22 per pair). Help your dog or cat be lucky if they ever get lost: equip them with a microchip. The Placer SPCA is hosting a Microchip Clinic from noon- 3 p.m. on Saturday, Feb. 23 at the Auburn Adoption and Resource Center, 1482 Grass Valley Highway, Auburn. The cost to microchip your dog or cat is only $20 per pet. Microchips contain your contact information. They let animal shelters know who to reach in the event your pet ever becomes separated from its loving home. Call thePlacer SPCA at 530-823-7722 with any questions. Chloe is a rescued pure Chihuahua. This is a partial list of internet sites helping find forever homes for Chihuahuas. If you are looking for a dog of any size, your first stop should always be your local Animal Shelter. Many homeless dogs—including purebreds—end up at these shelters only to be told later on there is no room or budget for them, which means their time is over. The good news is that while local shelters seek homes for the pets they have, they also interact with other shelters. This means people seeking a particular breed, age, gender or temperament can tell their local shelter what they want. As soon as a dog matching your description arrives nearby, these shelters will call you. If you are in the market for a Chihuahua, and your local shelter does not have any that meet your needs, consider looking at some of these websites. Similar sites exist for all breeds. Lucas (front) and Tinkerbelle came from shelters. · Chihuahua Rescue states it has saved more than 5,000 lives to date. 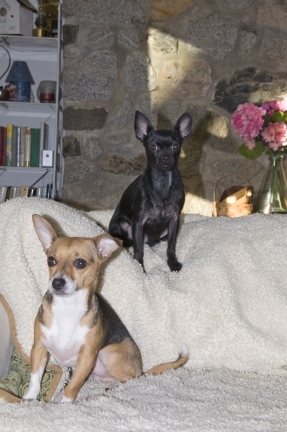 · Chihuahua Rescue and Transport places Chihuahuas and mixes in approved homes. · Adopt-A-Chihuahua allows prospective pet parents to enter their search parameters, including distance. · Chihuahua Rescue Shelter lists groups rescuing this breed by state. It also has lists of similar groups in other countries such as the United Kingdom, Canada and Australia. · Famous Chihuahua focuses on dog and puppy mills nationwide, helping to find homes for the many dogs rejected by these business as being imperfect and therefore unsellable. · NetPets has a list of Chihuahua organizations and contacts for people in those groups, including Chihuahua Rescue and Transport. 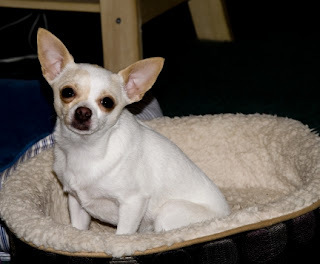 · New Chihuahua Connection also has a list of various rescue groups nationwide. · Second Chance Chihuahua Rescue is based in Nixa, Mo. · Ay Chihuahua is based in Central Texas that fosters Chis needing homes. Also consider checking out the American Society for the Prevention of Cruelty to Animals (ASPCA) and American Humane Society sites regardless of breed. They can help you find shelters in your area. This posting is brought to you as a public service by the Posh Puppy Boutique. Gentle Giants rescues dogs of all large breeds. If you have a big heart, there are some big dogs--and giant breeds, too--that will match your affection with lots of slobbery kisses ... if you bring them home. 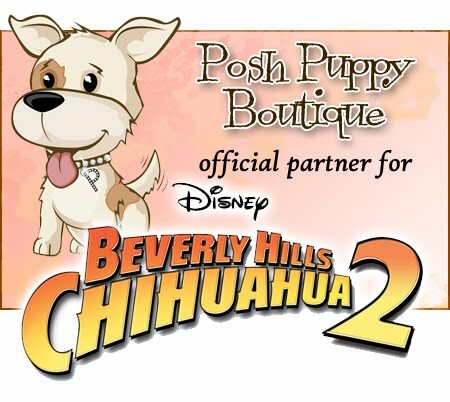 The Posh Puppy Boutique is owned by an animal lover and hires animal lovers. We love our dogs--and cats, horses and everything else--and we support many groups that do as well. Anyone with space in their homes and their hearts for a new companion should first check with their local animal shelters, just as we did. Many shelters will gladly take your name and phone number then call neighboring locations trying to find your perfect pup. If that work, or you want a specific breed of large dog, these websites can help you find your next best big buddy. According to Just Dog Breeds, some of the largest “giant” breeds include Mastiffs, Saint Bernards, Great Pyrenees and Great Danes. Popular large breeds, which are smaller than the giants but still considered big pooches, are: Golden Retrievers, Alaskan Malamutes, German Shepherds, Doberman Pinschers, Rottweilers, Labrador Retrievers, English Setters and Coonhounds. Each breed has its own distinct temperament but as with any dog, the way it is treated generally determines its disposition. I’ve know a “ferocious” Rottweiler that was more likely to lick you to death then bit you, for example. Jasper is one of many dogs available for adoption through Homeless Hounds. This is only a partial list of the many rescue groups specializing in large dog breeds. Your best bet is to always start with your local animal shelter. Many shelters get dogs of all sizes, genders, breeds and disposition, including paperless pure-breds. Some shelters will even contact others then call you when they have the breed you are looking for. · Gentle Giants Rescue is based in California and deals with all large breeds including giant breeds such as Great Danes and Mastiffs. · Homeless Hounds is based in Sonoma County in Northern California. It deals with dogs of all breeds, from large to small and in-between. · West Coast Mastiff &amp; Large Breed Rescue saves primarily Mastiffs, Great Danes and St. Bernards plus other giant breeds. · Big Dawgs Rescue is located in the East Bay community of Livermore, Calif.
· California Great Dane Rescue helps find homes for this giant breed. · Southern California Golden Retriever Rescue has dogs that always fostered, never kenneled and temperament tested as well. · The Golden Retriever Club of America National Rescue Committee has links and connections to many local breed-specific groups. · Rottweiler Rescue Sites Nationwide has state by state listing for this large breed, including five in California alone. · Gulfstream Guardian Angels Rottweiler Rescue is based in Miami and helps find forever homes for these large, loveable, loyal dogs. · Doberman Pinscher Rescue USA &amp; Canada has listings of various Doberman rescue groups in North America, including by state. · Hand Me Down Dobes is based in Ohio and serves several surrounding states. “The Doberman is intelligent and eager to please, making a loyal and devoted pet. When young, most are energetic and playful needing consistent exercise and attention,” just like any other breed. · The American German Shepherd Rescue Association was created, “as a fund raising group to operate programs which protect the German Shepherd Dog from suffering due to cruelty, homelessness, ignorance, neglect and misuse. This site includes a list of rescue groups by state. · Central California Labrador Retriever Rescue covers California’s Central Valley from Sacramento to Merced. It has generally has young dogs and senior citizens available for immediate adoption. · Lab Rescue of LRCP covers the Mid Atlantic Region. Its function is finding homes for Labs. · Above and Beyond English Setter Rescue includes board members from across the nation, though the group is based in Lancaster, Penn. · Love of Breeds has listings of rescue sites for many breeds, including English Setters. This is just a partial list of a few rescue groups dealing with large dog breeds. Five minutes of searching on-line will help point you in the direction of a breed and group where your new best friend is waiting. Have a heart and save a life: Adopt a homeless dog (or cat) today. The preceding post was brought to you as a public service by your friends at the Posh Puppy Boutique. 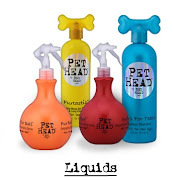 We sell products designed to make your pets look pretty and keep them healthy, happy and comfortable. But we don't sell pets. The Hurtta jacket is designed for warmth and comfort. Spring may be right around the corner, but it’s still cold in many places. Keep your four-legged friend warm and dry this year with a new coat from the Posh Puppy Boutique. Our Hurtta Raincoat ($90) has an adjustable waist and neckline, letting the Houndtext ® material trap heat and keep your dog comfortable. The material also keeps rain out. It is also equipped with reflectors for better visibility, especially at night and in foggy conditions. Best of all, the buckle is on the back making it easy to take on and off. Many sizes are available. Color choices are red and black. This Puffer jacket is made with ripstop nylon. The Puffer Jacket ($45) are made with ripstop nylon exteriors and fully lined insides for added warmth and comfort. Color choices include a blue exterior and orange interior and an orange exterior with blue interior. Several sizes are available. Humans like fleece and if you’ve ever seen a dog cuddle up in a fleece blanket, so do canines. Give your pet the comfort of fleece in a Super Soft Whisper Fleece Dog Hoodie ($50). This pullover hoodie comes in sizes from mini to large and has a 100 percent cotton jersey lining. It also has ribs at the forelegs and tummy. Color choices are Baby Blue, Ivory and Chocolate Brown. Girl dogs will love the style and bright candy colors of our Color Blocks Jackets ($60). Made with soft velveteen and trimmed with lace, they have gold button openings on the back. Six sizes are available. Color choices include Blue, Orange and Pink. Boy dogs wanting to walk in style can do so wearing our Classic Trench Coat in Beige ($145). Tailored and replete with numerous details, these hand made coats have a full cotton lining, Velcro closure at the waist and a button at the neck. Sizes range from extra small to large. This trench coat is also available in bright pink. Louis Dog has several great looking coats. Among them is this eye-catching Navy Fur Vest ($136) with a detachable big bow complete with a Swarovski crystal, Thinsulate padding for warmth and comfort and a high neck design. Sizes range from extra small to large. Another great looking Louis Dog coat is this Chic Beige model ($110). It also has the Thinsulate padding and high neck design for warmth and comes with detachable twin ribbons and a pompom ornament. Sizes range from extra small to large. One of our newest coats is this Brown Bomber with Faux Leather and Sherpa Fleece Lining ($38). It has that classic masculine styling with matching belt and a “pilot” patch. Several sizes are available. These are just a few of the many pet clothing products available at the top choice for pet clothing and accessories, the Posh Puppy Boutique. The Hound's-tooth snuggle bed has a 3-in-1 design. Let your four-legged friends snuggle and snore softly while sleeping comfortable and cozy in a warm and versatile cuddle cup bed from the Posh Puppy Boutique. Our Black Curly Snuggle Pup 3 ‘n 1 ($75) combines a snuggle bed, sleeping bag and blanket in one. Made from softy minky fabric in a black and white hound’s-tooth design, it keeps pets warm but not too hot. Sizes include regular (20 inches by 25 inches) and large ($10 more at 25 inches by 28 inches). The regular measures 20 inches by 56 inches when laid flat while the large is 25 inches by 56 inches when flat. In addition to the black and white check hound’s-tooth design, other 3 ‘n 1 bed color choices include hot pink, Pink Curly/ Cheetah, Hot Pink Curly with small black and white polka dots, Pink Fur with Pink Curly Minky, Orange Curly Minky With Giraffe pattern, Orange Curly Minky With Cheetah pattern, Red Curly with Black Damask plus several other color and pattern options. The identical black and white hound’s-tooth pattern is also available in the Pupper’s Purse ($100), which is a messenger-style bag designed to hold dogs up to 12 pounds. The purse is made from heavy duty nylon packcloth and lined with the soft minky fabric used in the bed above. This design, which has a hidden plastic tether inside, keeps your smaller dogs close, comfortable and safe. Tigerz Dream beds are stylish and comfortable. Other great, versatile bedding options are the Tigerz dream 3-way beds ($75 each). Each of these beds can be used in the “cup” format, which measures 15 inches in diameter with nice, tall sides. The beds measure 24 inches long when used as a sleeping bag and 24 inches by 44 inches when laid flat. This lets your dog—or cat—decide how warm they want to be and how they want to sleep: fully exposed during warm weather, fully covered on cold days and nights, or partially exposed. Tigerz Dream beds come in several patterns including: Pink Hearts, Pink Leopard, Red Leopard, Cotton Candy and many more. The Cuddle Cub bed is made by Susan Lanci Designs. A third option is the equally versatile Cuddle Cup bed (starting at $85) from designer Susan Lanci. Roll the sides over for use as a bed, lie it on its side for use as a sleeping bag for “tunneler” dogs and cats or leave it open for “nesters.” These beds measure about 20 inches in diameter. Style and color choices include Pink Lynx ($85), Black ($85), Camel Shag ($85), Plum/Camel ($85), Chocolate Shag ($89), Pink Shag ($89), Sable/ Chocolate Curley Sue ($89), Buff Chinchilla ($89) and Platinum ($90). These are just a few of the many beds, blankets, crate liners and cuddle products available at the top choice for pet clothing and accessories, the Posh Puppy Boutique. Give your little Sweet Heart a new toy or treat on Valentine's Day. Let your four-legged friends say “Be My Valentine” to their special doggie some-woof with a toy or treat from the Posh Puppy Boutique. The Lolli Love Lollipop Toys ($10) from Ruff Ruff Couture are among our most popular Valentine’s Day gifts. These 4-inch squeak toys come in Blueberry and Cherry. Both are made with velour and have embroidery details. Our Plus Dots Mink Hearts are on sale right now at 50 percent off. Normally $12, you can get them for $6 (mediums are $3 more) but only if you hurry. The small hearts are 7-inches long while the mediums are 9 inches long. Both come in brown with your choice of pink or blue polka dots. Stuffed with fiberfill, they are handmade in Oregon. The Love Pup toy holds five squeakers. The Love Pup Caterpillar Dog toy ($26) is made with red and pink sections with letters on each section spelling out Love Pup. The toy measure 26 inches long and contains five squeakers that will keep your large breed pooch—or several smaller dogs—thoroughly entertained. Puppy Angel created this bright red embroidered heart with a rope loop—the Heart Tug Toy ($20)—that is topped with a polka dot bow. It also comes in black. What does every dog love even more than a new toy? A treat. Conversation hearts are a staple of many human’s Valentine’s Day festivities. And now your dog can share in the fun. Our Conversation Medium Heart Dog Treat Gift Box ($26) has six hearts. Each of them is made with all-natural peanut butter dough, whole wheat flour, cinnamon, oats, hone, eggs and canola oil. They are decorated with yogurt and/or carob chips for a tasty, healthy, dog-friendly treat. We also have a similar version with paw prints instead of text also for $16. Go big and get a set of three Valentine’s Day Paw Pad Dog Treats ($18). Each treat measures 2-1/2 inches by 2-1/2 inches, all with a conversation theme. Each treat is made with peanut butter dough, whole wheat flour, cinnamon, oats, hone, eggs and canola oil. Let your little Valentino dog give his special someones a Valentine’s Mini Cannoli ($16). This set of 1-inch by 1/5-inch treats is made with human grade ingredients including chicken broth, oregano, garlic powder, dried eggs, baking soda, Parmesan cheese, oats, cannoli oil and whole wheat flour. The treats are decorated with yogurt chips and dipped in rainbow nonpareil balls. These are just a tiny fraction of the many pet clothing, accessories and toys available at the Posh Puppy Boutique. Call us at 888-837-5230 with any questions, including sizing questions. Be sure to follow us on Facebook.